A Lady Bird Deed offers a simple, inexpensive way to transfer real estate at death. The beauty of this type of deed is that it performs many valuable functions. With a Lady Bird Deed, upon the death of the individual there is no need to go through the probate process. At death, the property is conveyed by operation of law. A Lady Bird Deed, sometimes referred to as an “enhanced life estate deed,” is a way to transfer property to someone else outside of probate while still retaining a life estate in the property. A life estate is an ownership of land for the duration of a person’s life. A life estate ends at death when ownership of the property may revert to the original owner, or it may pass to another person. As a Michigan estate planning tool, a Lady Bird Deed can be beneficial if you want to pass your home to someone else but may need to apply for Medicaid soon thereafter. Medicaid is the joint state-federal program that helps Americans with nursing home costs. Medicaid benefits are intended for people who cannot otherwise pay for their medical care. In order to qualify for Medicaid, an applicant is unable to transfer property within five years of the application. This is called the “look-back” period. Otherwise, people could simply give away their valuable assets to family members, claim poverty, and receive Medicaid benefits. When you apply for benefits, you must disclose how much money and property you have. Some assets, however, are not counted for purposes of Medicaid eligibility. Typically, your primary residence is exempt. For example, if you had transferred your house to your daughter within the look-back period, it could make you ineligible for benefits. Because a Lady Bird Deed allows you to retain control of the property, it is not counted as a transfer of assets for Medicaid eligibility purposes. In addition, a Lady Bird Deed can help avoid the Medicaid estate recovery. Michigan’s estate recovery program can be circumvented in most cases through appropriate estate planning. If the Lady Bird deed is drafted correctly, it can help preserve your eligibility for Medicaid and keep assets in the family that otherwise would be taken by the state to repay the cost of Medicaid benefits you receive during your life. But unlike a regular life estate, a Lady Bird deed gives you the power to retain control of the property during your life, including the right to use the property for profit or to sell the property. – have received long-term care services anytime on or after September 30, 2007. Why is it called a Lady Bird Deed? 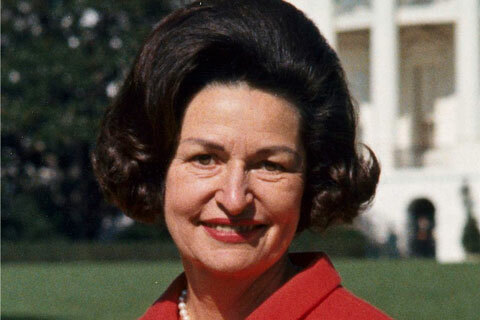 The term Lady Bird Deed apparently received its odd name not because President Lyndon Johnson ever used this kind of deed to transfer property to his wife, Lady Bird Johnson. It was coined a Lady Bird Deed by Texas Tech law professor Gerry Beyer, the Florida lawyer who created the Lady Bird Deed in the 1980s. In examples to show how the deed functioned, he used the names of President Johnson’s family—and the name stuck.